Description: Limited to 3000 copies worldwide, individually numbered. 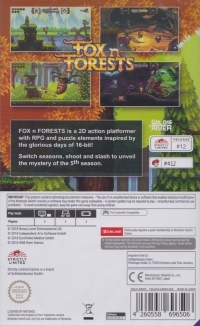 Box Text: FOX n FORESTS is a 2D action platformer with RPG and puzzle elements inspired by the glorious days of 16-bit! Switch seasons, shoot and slash to unveil the mystery of the 5th season. 04-09-2019 mastafafik Description Limited to 3000 copies worldwide, individually numbered. This is a list of VGCollect users who have Fox n Forests in their Collection. 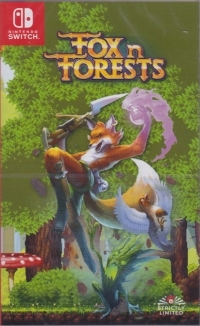 This is a list of VGCollect users who have Fox n Forests in their Sell List. This is a list of VGCollect users who have Fox n Forests in their Wish List.